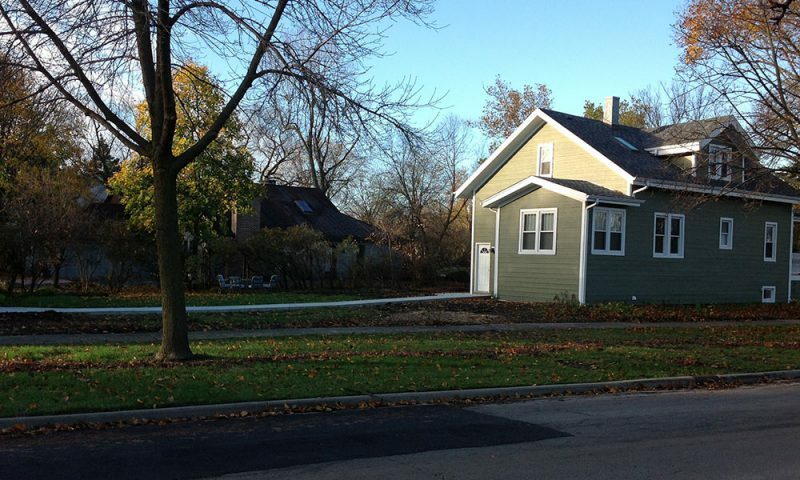 The Heywoods have two young children and live on a busy street corner, so safety was our top priority with this job. 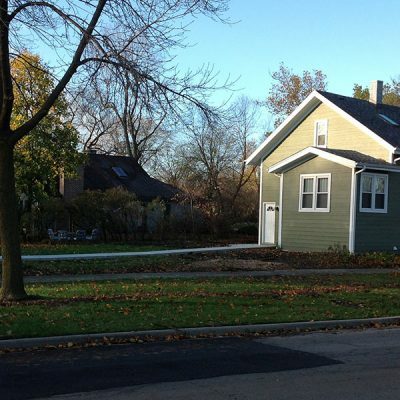 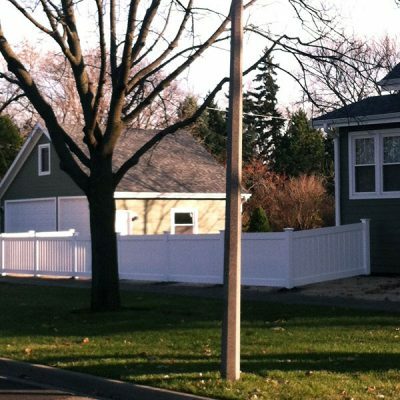 We created a full enclosure and designed an appealing transition from the street side to the property line, where a higher fence is allowed. 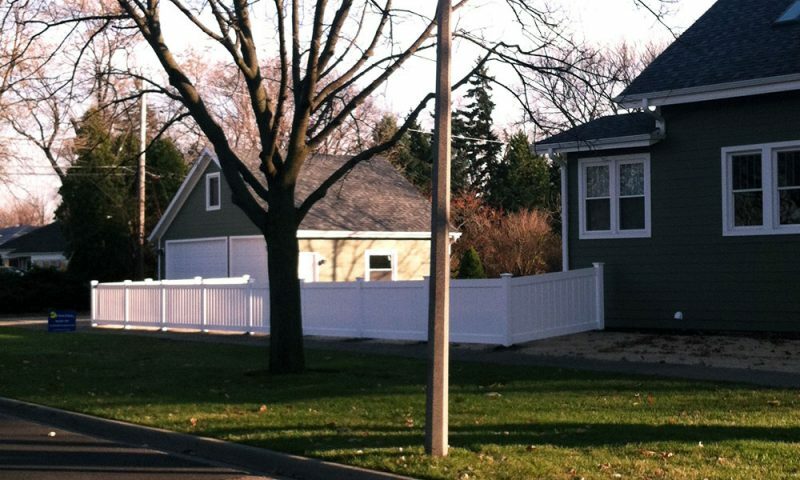 The white PVC material matches the home’s traditional look. 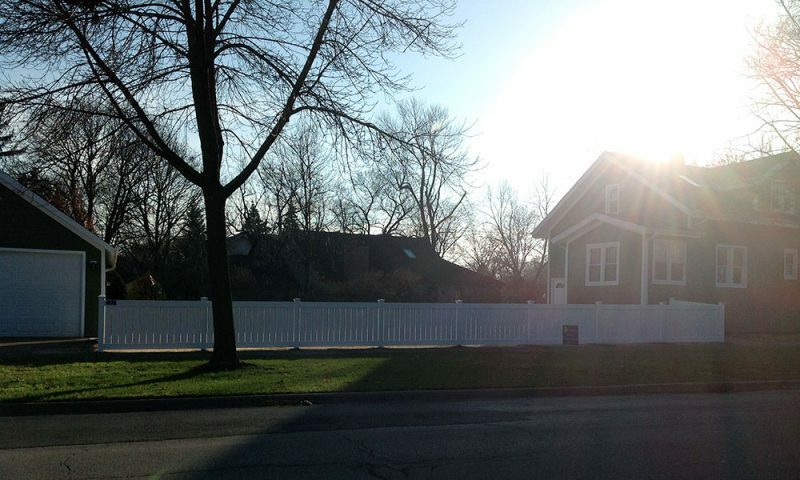 The Heywood family loves their new fence from First Fence. 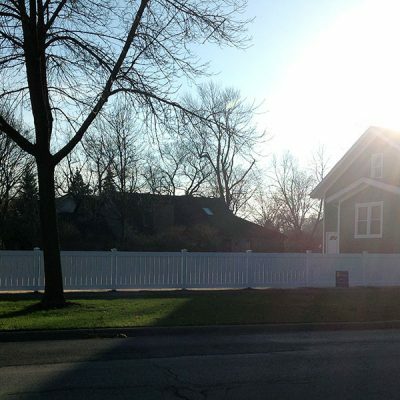 First Fence was called out to build a fence for the Heywood family.